SelectWhat is Derivatives Trading?Types of DerivativesWhat is Futures Trading?What is Options Trading?What is a Strike Price?How Options Work?Why Use Options?How to Trade Options?What is Option Expiration Date?Different Types of OptionsFutures Vs OptionsWhat happens if an Option Expires OTM?What is Margin Trading?Is there any Margin Payable in the Options?How are the Options Contracts Settled?Why are Derivatives Important?Are Derivatives an Asset Class?What is Put Call Ratio?What is Call Option?What is Put Option? Trading is a risky business, and sometimes it needs a huge amount of capital. 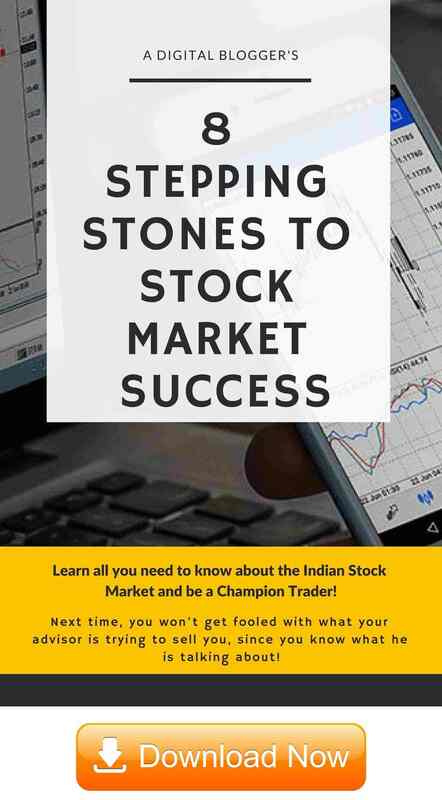 For instance, if a trader wants to buy 1000 shares of a Tata Motors which is trading at ₹200 per share, he/she straight away needs a principal amount of ₹2,00,000, which is a big amount of capital. Not to ignore are the huge risks involved. At times, a trader may end up in losing the entire capital in a single trade. Therefore, to have enough capital to trade as well as to have a cushion is an area of concern for an individual retail trader. The big corporations and trading houses can afford the big capital and their related risks, but it is not the case with individual traders who are using their lifelong savings for trading and investments. This is the point where Margin Trading comes into effect. Margin Trading is the process of using borrowed funds from the stockbrokers to trade. By using this process, the traders are able to buy more securities than they can otherwise afford at any point in time. Margin trading provides the traders with the required leverage, however, along with high leverage and high returns, there are also chances of huge losses. A margin trader needs to be well aware and well prepared for this two-edged sword. The brokerage company which had borrowed the money at low rates lends it further to the trader at higher rates and makes profits, also keeping the bought securities as collateral. However, the profits on the trader’s ends are not guaranteed. So, this may result in more losses than anticipated. This needs to be understood especially by people who do not place much of a research or analysis behind their trades and are impulse or gut-driven most of the times. Because of being quite risk-prone, margin trading is regulated by various authorities like SEBI and there are various rules and regulations that have to be complied with. The trader opens a margin account with the broker and puts in a minimum amount of money called the minimum margin money. Once the account is functional and the trader starts trading, he can borrow money from the broker for buying more securities than he can afford to. However, a fixed percentage of the purchase price has to be deposited in the margin account called the initial margin. During the trade, the buying or selling has to be squared off after each session, If shares are bought, they have to be sold and vice versa at the end of each session. Based on the profit or loss made, a maintenance margin has to be maintained, which is the minimum amount after squaring off trades. If the maintenance margin is not fulfilled, a margin call is made by the broker as soon as it is triggered due to insufficient margin funds. Each order is converted into a delivery after the trade, which straight away goes into the broker’s account first to ensure that his debts are paid off. The trader must have enough cash to pay for the shares bought and to pay the broker’s fees and other charges. In a sense, margin trading is a way in which a regular retail trader can look to make an extra profit if he or she is extremely confident in their trading decision. The broker also makes money from the interest you pay while you hold the margin amount. At the same time, both parties take some level of risk as well where the broker provides you sort of a loan and trusts your trading call. It keeps itself safe first when the shares bought are kept as collateral. You, as a trader, also take some level of risk by trading on an amount which you might not have been able to on your own. Let’s take a real-life example. Aivi, an intermediate level trader from Mumbai has ₹20,000 and he opens a margin account with his capital and ₹80,000 borrowed funds. Here, ₹20,000 is the initial margin. He uses the total amount of ₹1,00,000 to buy 500 shares of IBM at ₹170 per share making a total investment of ₹85,000 which is much more than he could afford without margin trading. Now, in the first scenario, if the price of the shares goes up to ₹190 per share, he earns a profit of ₹10,000 which is a profit of 50% on his own money invested. This shows the advantage of margin trading as he would not have been able to make high profits had he not had the leverage. In the second scenario, if the price of the security goes down to ₹150 per share, he suffers a loss of ₹10,000 and gets a margin call. This loss needs to be paid off to the broker, along with the fee and the charges. This shows the downside of margin trading as he would not have suffered huge losses if he had invested less money. Margin trading is advantageous to be able to provide leverage to the traders. The traders are enabled to buy more securities than they can afford to and leverage their gains. Traders can use trading opportunities as they arise, without being concerned about the cash requirements. They are able to diversify their portfolio by hedging. Margin trading may lead to amplified losses if the trade does not go well. Payment of margin call is required if the price of securities falls abruptly and the trade has to arrange cash to fulfil the margin call. If the trader is unable to meet the margin call, the broker calls for forced liquidation of the securities kept as collateral and may generate further losses to the trader. A trader has to pay high rates of interest and fee on the money borrowed. As a bottom line, margin trading is a relatively risky approach and it must be practised by a trader after judiciously considering his capital, risk-appetite and investment objectives. It must be used by seasoned traders who are well aware of the risks involved or by the high net worth investors who can afford the loss if that happens. One has to be very careful before taking the path of margin trading! 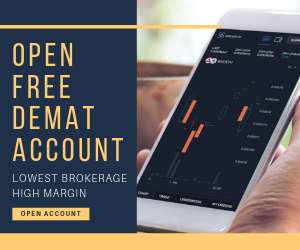 In case you are looking to start using margin in your trades or just want to open a demat account – fill some basic details in the form below. 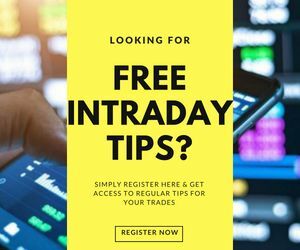 Derivatives Trading What is Derivatives Trading? Are Derivatives an Asset Class? What is Strike Price of an Option? What is Option Expiration Date? What happens if an Option Expires Out of the Money? Is there any Margin Payable in the Options? How are the Options Contracts Settled? What is Put Call Ratio?